Writing about things that matter to me! I was dismayed to read a blog by Kate Galloway referring to moves by the Queensland Government to revert to gender specific language within the Crime and Misconduct and Other Legislation Amendment Bill 2014. Apart from structural legislative changes to the Crime & Misconduct Commission itself, it is the reverting to gender specific male language, which is also of concern. These changes are sexist in defining specific roles as those belonging to men with the exclusion of women. Over the past 30 years so much has been achieved to ensure that Queensland develops and maintains a gendered agenda. Ensuring women are equal within law is a critical part of this. It seems unbelievable that we are now having to reclaim inclusive language within law and accompanying policy & practice. Language is a powerful tool. The old arguments that women are included in male specific terminology no longer washes, we have long moved on from the ridicule that encountered feminists who first argued for the case of inclusive language. Initially efforts to stop the “manning” of everything as inclusive of women, mankind, manpower, chairman etc., was met with defensiveness and scorn. Many couldn’t understand what the big deal was. How does gendered language affect gender equality? It is recognizing that man in the ‘abstract’ and men in the ‘reality’ are privileged over women. Language reflects the status quo. When women are left out of language and policy, the reality isn’t far off. 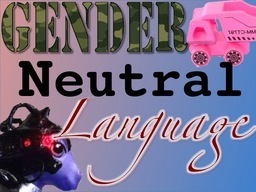 Caroline Jacobson talks about gender – neutral language. A policy reform agenda to promote policies beneficial to Queensland women was part of the election campaign of Wayne Goss who was elected Premier in 1989. The Goss government established the Women’s Policy Unit, introduced Anti-Discrimination Legislation, Equal Opportunity in Public Employment Act, various consultative mechanisms, improved responses to domestic violence, established a Gender Unit within the Department of Public Prosecutions to name a few. There has been either an axing or watering down of many of these gains over the past few years. The Women’s Policy Unit no longer exists nor does the Domestic Violence Council, a body I chaired for two terms. There are now concerns about the survival of ‘women’s’ services. Those which provide assistance to abused women. 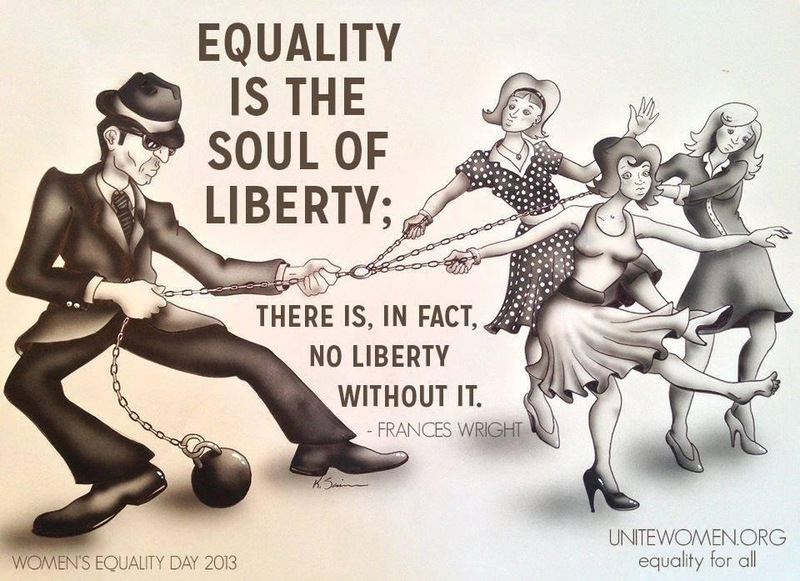 There are many examples within Australia society where women still struggle for equality. There is only 1 woman in cabinet (although some good women are knocking at the door). If this situation were reversed it would be deemed to be completely outrageous. Women while comprising of 51% of the population are under-represented in parliament, on Boards and amongst Australia’s CEO’s. The gender wage gap is well documented with women still only receiving 71% of the male wage. 1 in 4 Australian women are victims of domestic violence & and 1 in 5 will be sexually assaulted across their life span. Women still mostly work part-time in low paying jobs. Women receive only 33% of the superannuation that males do on retirement. Any effort to revert to making women ‘invisible’ is of concern. Whether that be within language, laws, policy, political representation, programs or education. Words are tools of thought. We can use words to maintain the status quo or to think in new ways — which in turn creates the possibility of a new reality. Obviously the changes to the gender neutral language within the above Act are done for a specific reason, we are left wondering why. Excluding women in language can certainly further impact negatively on their reality. This entry was posted in Feminism, Law, Uncategorized. Bookmark the permalink. “Language reflects the status quo”…Qld Gov taking women back to the days when women were mostly invisible -belief is women shouldn’t be involved in decision making,shouldn’t be in ‘the Chair’ anyway…changing the language invites this premis,with The Abbott Gov the whole valuing of women & their contribution is in danger…inclusivity is paramount in a just & truly free Society .Another prized Blog Bett,let’s make sure women are HEARD!I look forward to your insightful articles. This is unacceptable on any grounds whatsoever. It cannot be seen as anything other than sexism for the sake of sexism. It is astonishing that, in the 21st century, boys ‘grow up’ to become politicians who even consider this a matter to be dealt with. In actual fact, when they do this, they are effectively declaring, ‘I am afraid of anything other than a patriarchy because I might not be able to maintain a sense of power without it.’ Makes me ask: Just why are some men so afraid of women? TO DO BEFORE I GET OLD AND BORING OR DIE. MY ATTEMPT TO COMPLETE AS MANY OF THE ITEMS AS POSSIBLE FROM MY WISH LIST..
What can you do to advance equality?